We maintain an existing network of quality Service Facilities. 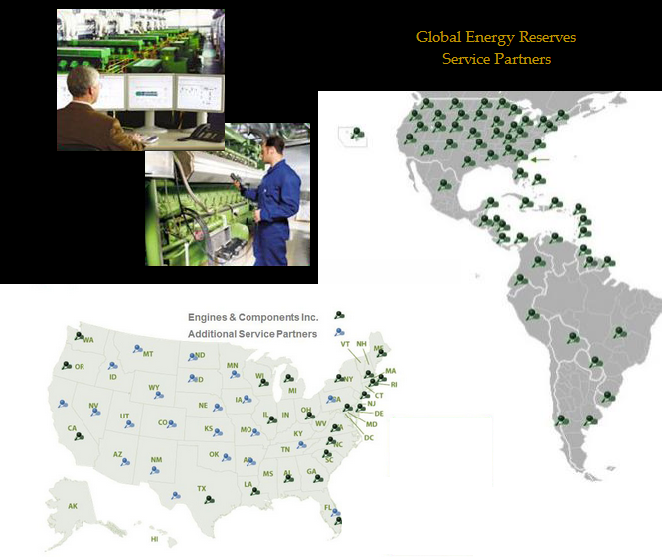 We provide 24 hour worldwide monitoring, service and maintenance through our network of independent Service Facilities. Intesive factory training is required. Our primary territory is North and South America. The primary parts distribution warehouse is located in Miami, Florida, USA. This location allows us to more easily meet our United States, Central and South American customers growing demands for technically advanced and environmentally responsible energy systems. Irrespective of the customer location, Global Reserves LLC will guarantee a high standard service and product support through a network of partners specialized in technical support.